1 Fagni T., Falchi F., Sebastiani F. Image classification via adaptive ensembles of descriptor-specific classifiers. In: Pattern Recognition and Image Analysis, vol. 20 (1) pp. 21 - 28. Springer Verlag, 2010. 2 Fagni T., Sebastiani F. Selecting negative examples for hierarchical text classification: an experimental comparison. In: Journal of the American Society for Information Science and Technology, vol. 61 (11) pp. 2256 - 2265. John Wiley & Sons, 2010. 3 Fagni T., Falchi F., Sebastiani F. Adaptive committees of feature-specific classifiers for image classification. In: ERCIM News, vol. 78 pp. 41 - 41. ERCIM, 2009. 4 Esuli A., Fagni T., Sebastiani F. Boosting multi-label hierarchical text categorization. In: Information Retrieval, vol. 11 (4) pp. 287 - 313. Springer Verlag, 2008. 5 Fagni T., Orlando S., Silvestri F., Perego R. Boosting the performance of Web search engines: caching and prefetching query results by exploiting historical usage data. In: Acm Transactions on Information Systems, vol. 24 (1) pp. 51 - 78. ACM Press, 2006. 1 Baraglia R., Danelutto M., Fagni T., Laforenza D., Orlando S., Paccosi A., Tonellotto N., Vanneschi M., Zoccolo C. HPC application execution on GRIDs. In: Future Generation Grid. 1 ed. pp. 263 - 282. A. Reinefeld, D. Laforenza, V. Getov (eds.). USA: Springer, 2006. 3 Esuli A., Fagni T. ProcessFast, a Java Framework for Development of Concurrent and Distributed Applications. In: IIR - 6th Italian Information Retrieval Workshop (Cagliari, 25-26 May 2015). Atti, article n. 18. Paolo Boldi, Reffaele Perego, Fabrizio Sebastiani (eds.). (CEUR Workshop Proceedings, vol. 1404). CEUR-WS.org, 2015. 4 Fagni T., Falchi F., Sebastiani F. Adaptive committees of feature-specific classifiers for image classification. In: IMTA'09 - 2nd International Workshop on Image Mining Theory and Applications (Lisbon, PT, 7 febbraio 2009). Proceedings, pp. 113 - 122. Igor Gurevich, Heinrich Niemann, Ovidio Salvetti (eds.). INSTICC Press, 2009. 5 Fagni T., Sebastiani F. On the selection of negative examples for hierarchical text categorization. In: 3rd Language and Technology Conference. LTC'07 (Poznań, 5-7 October 2007). Proceedings, pp. 24 - 28. Wydawnictwo Poznańskie Sp. z o. o, 2007. 6 Esuli A., Fagni T., Sebastiani F. MP-Boost : a multiple-pivot boosting algorithm and its application to text categorization. In: 13th International Symposium on String Processing and Information Retrieval (SPIRE'06) (Glasgow, UK, 11-13 October 2006). Proceedings, pp. 1 - 12. F. Crestani, P. Ferragina, and M. Sanderson (eds.). (Lecture Notes in Computer Science, vol. 4209). Springer Verlag, 2006. 7 Esuli A., Fagni T., Sebastiani F. TreeBoost.MH : a boosting algorithm for multi-label hierarchical text categorization. In: 13th International Symposium on String Processing and Information Retrieval (SPIRE'06) (Glasgow, UK, 11-13 October 2006). Proceedings, pp. 13 - 24. F. Crestani, P. Ferragina, and M. Sanderson (eds.). (Lecture Notes in Computer Science, vol. 4209). Springer Verlag, 2006. 8 Fagni T., Perego R., Silvestri F. A Highly Scalable Parallel Caching System for Web Search Engine Results. In: Euro-Par 2004 Parallel Processing, 10th International Euro-Par (Pisa, Italy, August 31-September 3 2004). Proceedings, pp. 347 - 354. Marco Danelutto, Marco Vanneschi, Domenico Laforenza (eds.). (Lecture Notes in Computer Science, vol. 3149). Springer, 2004. 9 Fagni T., Orlando S., Palmerini P., Perego R., Silvestri F. A Hybrid Strategy for Caching Web Search Engine Results. In: Twelfth International World Wide Web Conference (www2003) (Budapest, Hungary, 20-24 May 2003). Proceedings, p. 156. Irwin King and Tamas Maray (eds.). 2003. 1 Carrara F., Esuli A., Fagni T., Falchi F., Moreo Fernandez A. Picture it in your mind: generating high level visual representations from textual descriptions. Technical report, 2016. 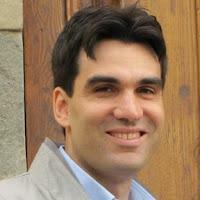 2 Esuli A., Fagni T., Moreo Fern�ndez A. JaTeCS, a Java library focused on automatic text categorization. Technical report, 2016. 3 Fagni T., Esuli A. SparkBOOST, an Apache spark-based boosting library. Technical report, 2016. 4 Fagni T. Developing and maintaining a mixed Java/Groovy software using Maven. Technical report, 2013. 5 Esuli A., Fagni T., Sebastiani F. Machines that learn how to code open-ended survey data. Part I: the basic approach and a working system. Technical report, 2009. 6 Esuli A., Fagni T., Sebastiani F. Machines that learn how to code open-ended survey data. Part II: experiments on real respondent data. Technical report, 2009. 7 Fagni T., Falchi F., Sebastiani F. Adaptive committees of feature-specific classifiers for image classification. Technical report, 2008. 8 Fagni T., Sebastiani F. On the selection of negative examples for hierarchical text categorization. Technical report, 2007. 9 Esuli A., Fagni T., Sebastiani F. MP-Boost: a multiple-pivot boosting algorithm and its application to text categorization. Technical report, 2006. 10 Esuli A., Fagni T., Sebastiani F. TreeBoost.MH: a boosting algorithm for multi-label hierarchical text categorization. Technical report, 2006. 11 Fagni T., Silvestri F., Orlando S., Perego R. Boosting the performance of Web search engines: caching and prefetching query results by exploiting historical usage data. The document has been submitted to Journal: IEEE TOIS, Technical report, 2004. 12 Bartoli G., Fagni T. Manuale di installazione ed amministrazione del cluster Linux. Internal note, 2003. 13 Bartoli G., Fagni T. Manuale utente del cluster Linux. Internal note, 2003. 14 Fagni T., Orlando S., Palmerini P., Perego R., Silvestri F. A hybrid strategy for caching Web search engine results. Accettato alla conferenza WWW2003, The Twelfth International World Wide Web Conference, 20-24 May 2003, Budapest, HUNGARY, Technical report, 2003. 15 Fagni T. Analisi del framework XCat come ambiente di supporto alla programmazione di applicazioni ad alte prestazioni per ambienti grid-enabled. In: The document other: The paper is a techincal report related to the analysis of a software library evaluated for a task inside the FIRB reaseach project. 2003. 2 Fagni T. SparkBOOST. [Software] , 1 March 2016.